It’s common for car batteries to die. It can be easy to drain your battery and a lot of the time it happens by accident; almost everyone has left their lights on overnight and drained a battery as a result. If your car does not start as it should, but then it does when it is jumped off, it may just need a new battery. A good BMW battery can last up to 4 years. Low power isn’t always caused by a dead battery and is common and can happen to anyone. Terminals and cord connectors can corrode if your battery has been exposed to the elements. This causes an insecure connection and can make your battery loose power. If you’ve recently driven your car and only hear a click when you turn the key, your battery may be having problems storing power. 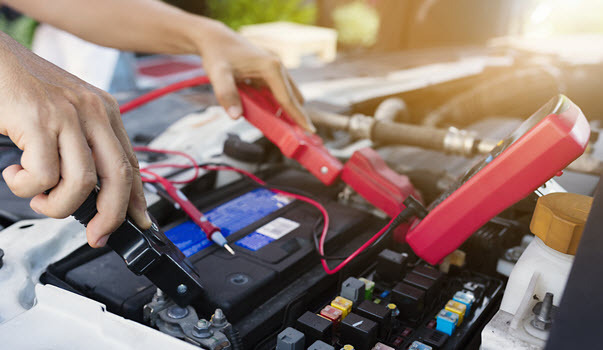 Try cleaning your terminals and changing your battery; if that doesn’t solve the problem, visit a professional mechanic for a thorough diagnostic. You may have an issue with your steering if your key won’t turn in the ignition. Try turning the wheel slightly before turning the key, as this might help if the key has seized up. However, don’t try to force it, as that can lead to a broken key. You may also have computer problems if your dash is lit with the steering lock symbol. If you notice electronic issues with your ignition, get it to a mechanic quickly before you are unable to start your car at all and have to have it towed. Some power issues are more evident while you are driving. These might cause your lights to dim or your heating and air to falter. Your alternator may cause your battery to not be charging correctly, which can cause many of these issues. An alternator can be tested for power much like a battery can, and is a relatively easy replacement if needed. Cable issues are one of the most common and overlooked BMW electronic issues. Cables can become frayed or broken. A broken cable can be caused by anything from vandalism to wear and tear, and any damage to one of those can easily disrupt electricity to a number of systems. A skilled service technician will have all the skills necessary to replace any broken or frayed cables you may have. A blown fuse can disrupt an area of your dashboard or interrupt the flow of electricity throughout your vehicle. If you suspect electrical problems, carefully inspect each fuse inside of your fuse box. Switch out any that appear to be loose, burnt, or otherwise damaged. Your alternator is the main source of power management in your BMW. Your alternator also helps keep your battery charged as your car uses power. Cracks in your alternator can disrupt this process and weaken your battery, which will affect your electronics. Your mechanic will check for cracks and replace it if needed during regular maintenance. Your ignition switch is an important part of getting your car to start. When your switch isn’t working, trying to start your vehicle repeatedly can flood your engine. Your switch may be broken if you don’t hear a click when you turn the key. As the ignition system is an integral part of the electronics in your BMW, any work on it is best done by expert service technicians. It’s important to recognize the signs and symptoms of these electronic problems, so you can catch them early and stop them from spreading. When you need someone who knows BMWs inside and out, come see our experts at A&M Auto Service. Convenient to Pineville, Charlotte, and Greensboro, NC, our shop is ready and waiting to take care of your BMW’s electronics so you can get back on the road as soon as possible. 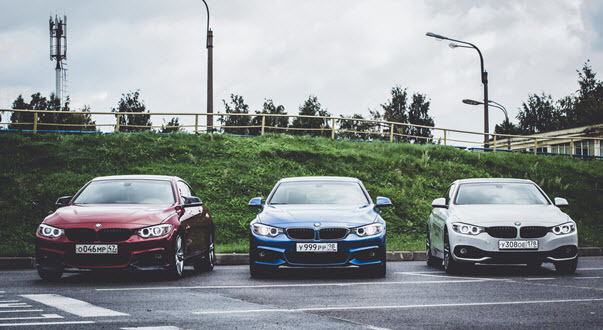 * BMW 4-Series Cars image credit goes to: chasdesign.